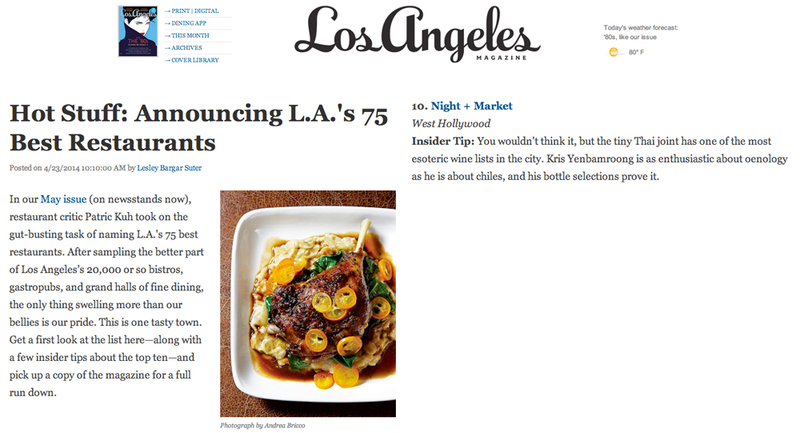 LA Magazine named NIGHT + MARKET #10 on their annual list of the 75 best restaurants in the city. Thank you Patric Kuh and the LA Mag team. You can read the full story here.